Honour Killings have nothing to do with Islam. If you read this in a news paper you would know what happened next. He picked up his axe or a bat or a gun or whatever he could find and he killed them both to save his honor. A typical case of honor killing so prevalent in the Islamic Republic of Pakistan. Not only is it a brutal violent crime, but the name of Pakistan is maligned and my beautiful religion of Islam is dragged down into the mud as well. As if Islam is to blame. As if Islam promotes this kind of revenge or honor killing! As If Islam wants to kill women. So today lets just see what Allah Subhanawa tala The Most Wise,The Most Merciful has to say to say about it. It so happened that such a case was brought in front of our beloved Prophet Muhammad (saw). A man came to him and said that I returned home at night and saw my wife with another man. I heard with my own ears and saw with my own eyes (their act of fornication). At that time only the verses related to fornication had been revealed. In order to punish someone,four witnesses ( who saw them in the act) were needed. If four witnesses were not produced, then the one accusing would be punished by lashing. (for accusing a chaste person without proof). And for those who accuse their wives, but have no witnesses except themselves, let the testimony of one of them be four testimonies by Allah that he is one of those who speak the truth.) (7. And the fifth (testimony); invoking of the curse of Allah on him if he be of those who tell a lie.) (8. But she shall avert the punishment from her, if she bears witness four times by Allah, that he is telling a lie.) (9. And the fifth; should be that the wrath of Allah be upon her if he speaks the truth.) (10. And had it not been for the grace of Allah and His mercy on you! And that Allah is the One Who forgives and accepts repentance, the All-Wise. The following is the event described in detail from Tafsir Ibn Kathir. He said, `By Allah, Allah will not punish me for it, just as He has not caused me to be flogged for it.’ So he testified for the fifth time that the curse of Allah would be upon him if he was telling a lie. She hesitated for a while, and was about to admit her guilt, then she said: `By Allah, I will not expose my people to shame, and she swore the fifth oath that the wrath of Allah would be upon her if he was telling the truth.’ Then the Messenger of Allah separated them, and decreed that her child should not be attributed to any father, nor should the child be accused, and whoever accused her or her child, they would be subject to punishment. SubhanAllah! He saw his wife in the dead of the night fornicating with another man. Imagine the utmost patience he displayed. He waited till the morning to come to Prophet Muhammad (s) and see Allah’s mercy … He revealed in His guidebook, guideline for the extreme of the cases. SubhanAllah! So many lessons from this case of this Sahabi (ra). So in an extreme case, where a man himself sees his wife with another man, even then he is NOT allowed to take the law into his own hands. He can not harm or kill them.He will not fly into a rage and do as he pleases. He will bring his wife to the judge. There he will take an oath in Allahs name four times that he saw what he saw. Then his wife is allowed to declare her innocence (or accept the crime if she fears Allah). She also takes oath four times that her husband is lying. In the fifth oath she will invoke Allah’s curse on her own self incase she is lying. After this , they are divorced and she is also given her due mahr. She is not labelled as a fornicator. She is considered innocent. Such is the care and justice for women in Islam. She is protected and given benefit of doubt whether she is guilty or whether she is innocent. Such is Allah’s mercy. Who says women have no rights in Islam?? and for all those who scream that a woman’s testimony is not equal to a mans’ in Islam… read the verses again. In this case, her testimony ALONE suffices for her. SubhanAllah Allahu Akbar.! All that honor killing and the karo kari nonsense that you hear and read about is NOT ISLAM. In many parts of our country, even if a girl is seen speaking to a boy , she is killed in the name of honor. If a man, even as much as suspects his wife of having an affair, he kills her in the name of honor. If daughters have boyfriends.. the parents think they have the option of honor killing! NAY that is NOT SO. Honour killings have nothing to do with Islam. It is cultural.It is murder, pure and simple and on the day of judgement, the first crime Allah will account will be murders. Please do not confuse culture with Islam. Everything thing that occurs in a so-called-Muslim-Country is not according to the Quran. May Allah guide us and our nation towards understanding the Quran and implementing it in our lives. Ameen. Read the details of these verses in Tafsir Ibn Kathir here. Venue: Naziha’s, 3A/2, 2nd North Street, Phase.1, DHA. Ramadan Activity Book – Free! 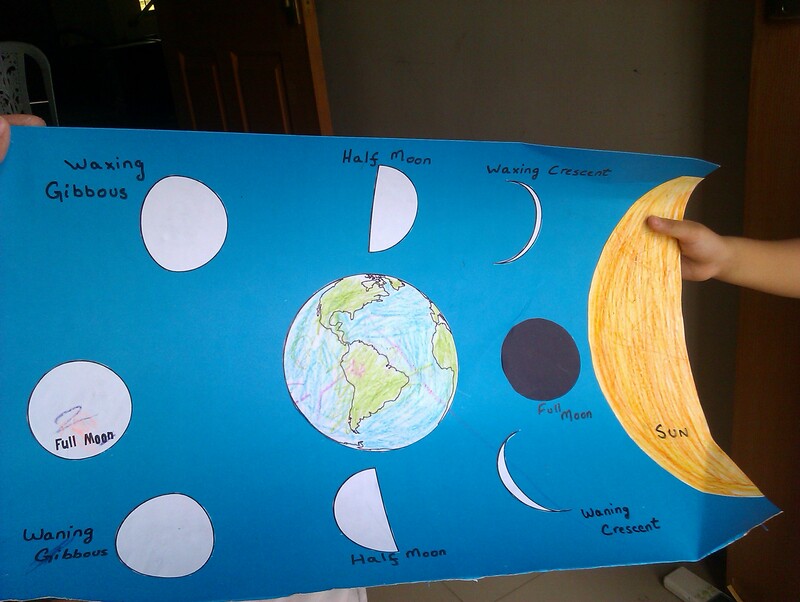 A very creative Ramadan Activity Book by an 11 year old Pakistani Homeschooler. Here is a small gift from us – an activity book for children 5-7 years which will in sha Allah help them in learning about Ramadan, fasting etc. This is Hadi’s work at 11 years. May Allah make her use her abilities seriously in His cause as she grows up. This was one of the first stories I narrated to my daughter when she turned 3. I kept the story simple and to the point. My focus is on Allahs love and mercy therefore I refrained from mentioning death. After hearing this story a number of times, soon she memorized the names of all the important personalities in the life of our beloved Prophet Sallallahu alayhe wasallam and also the first few verses of Surah Alaq. I wrote down what I narrate to her and this is for the parents to read and narrate in their own words. Add lots of emotions and voice variations to make the story interesting and capture the imagination of the young child. Make sure to recite the Quranic Ayahs with proper tajweed and soon your little one will memorize it too. May Allah accept this small endeavour from me and make it beneficial to all Muslim parents out there. Just for inspiration and some laughs (you will know why when you listen) I am sharing this voice clip of me narrating this story when Aaminah was 3 years old. 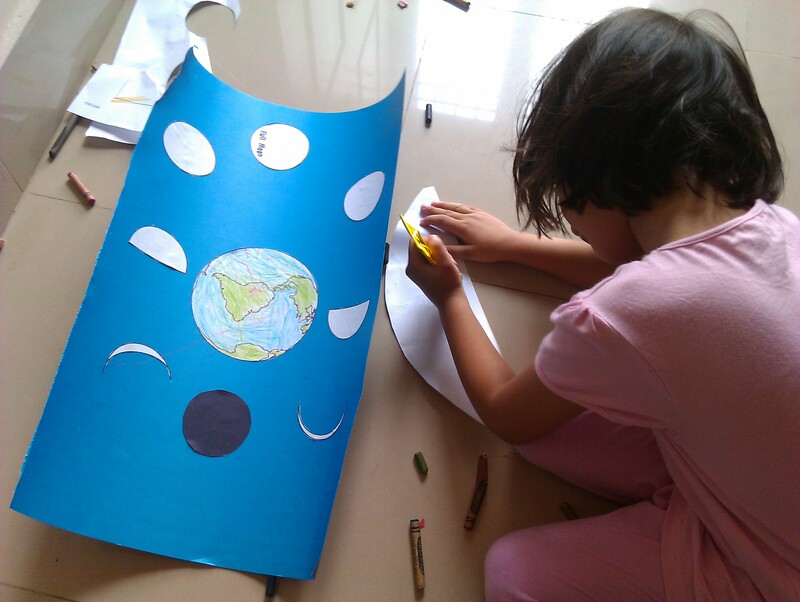 I wanted to teach Aaminah about the Moon Phases last Ramadan, but I could not find anything simple and age appropriate. She was 3 and a half last Ramadan. 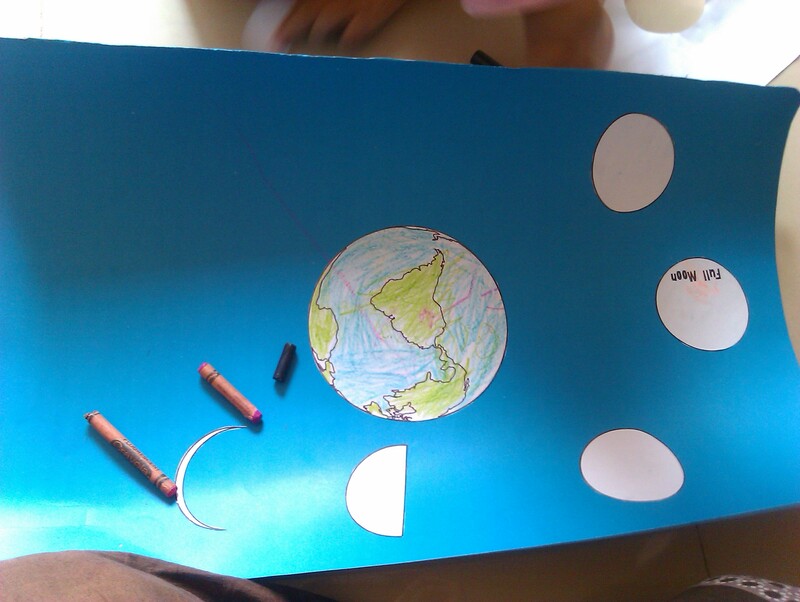 So I made the Moon Phases myself. 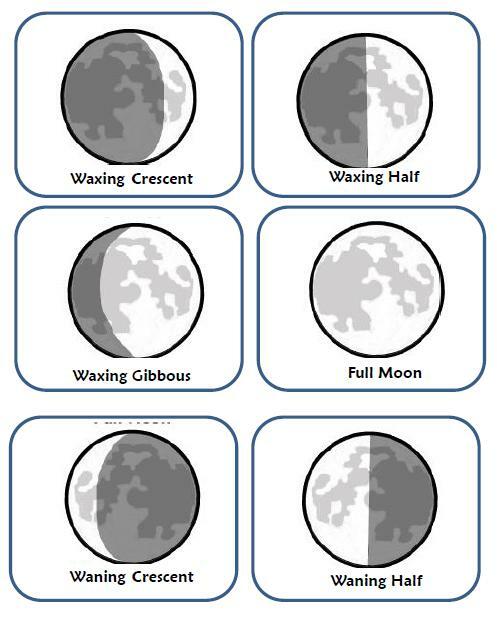 and I updated the file this year and we did the moon phases again. 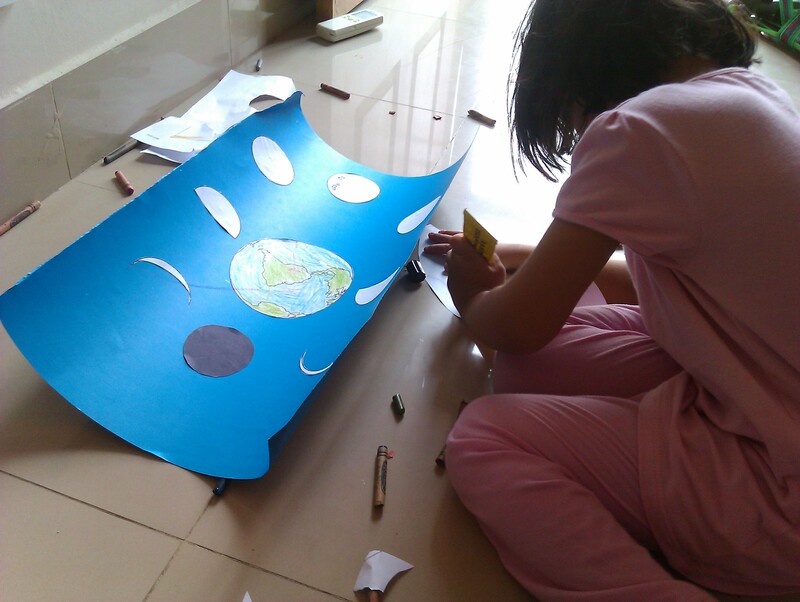 Aaminah really enjoyed the activity. 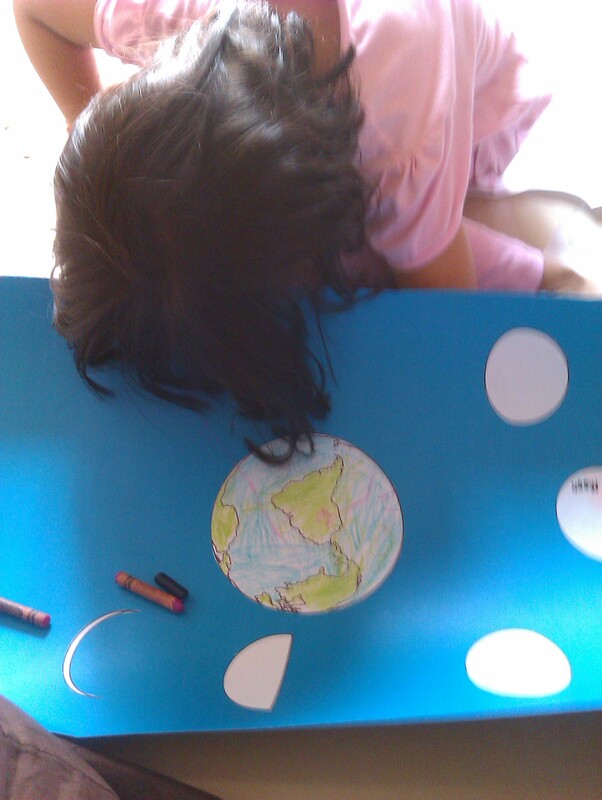 She now knows the names of a few phases of the moon MashaAllah. 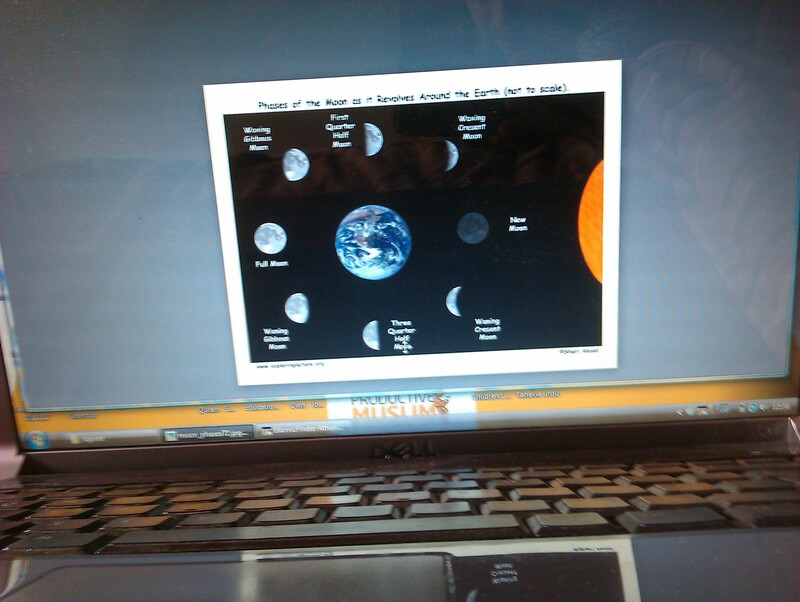 She explained the moon phases to her father after we did the chart. At night we also used a torch and balls to understand why the moon has phases. These are the pics from last year. Here are the pics from this year. 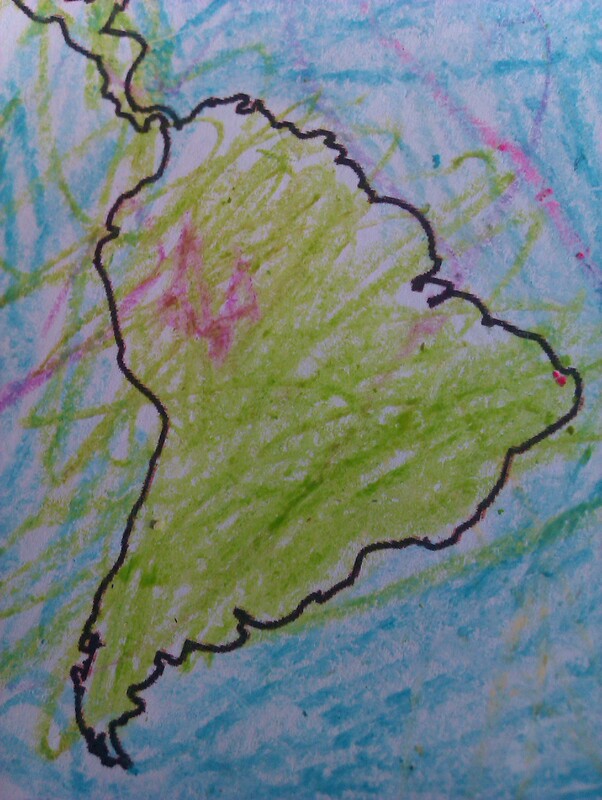 You have the option to print out a colorful Earth or a black and white one to color in. You can also skip printing the sun and make one large sized one yourself.